Amtul’s admits students as Boarders as well as Day Scholars. Students are admitted to Class I at the age of five plus. The school session extends from March to December. A student’s name may be registered for admission to a particular class, subject to availability of seat. Admission is granted after an Admission Test and Personal Interview of the student and his parents with the Principal. 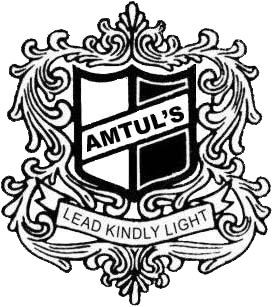 A student’s name may be registered after making the payment of Registration Fee through a demand draft in the name of Amtul’s Public School, Nainital. Admission process begins in November & December. The school Runs upto what class? When do the classes for class XI start? The classes start in April. Students with a good academic record can take provisional admission as per the admission norms of the school. Does the school charge admission fee every year? No, the school does not charge admission fee every year. Does the school hold regular PTM’s? Yes, the school holds regular PTM’s. We believe in strengthening our relation with parents to support the growth of the child. All payments should be made in favour of Amtul’s Public School, Nainital through online transfer or demand draft or RTGS / IMPS payable at Nainital Bank or in HDFC Bank through our Bank Slip. Fees in the form of Cash / Cheque shall not be accepted. Fees will be charged from March whether the student is present or not. Any child withdrawn in mid session must pay full fees upto the end of the session. Travel expenses & Canteen amount will not be paid to the students from their personal account. Three months’ notice will be required prior to the removal of a student. At the end of the session, a notice of withdrawal must be given before 31st December otherwise three months’ school fee will be charged for the new term. All parents must comply with the rules of the School. Leave may be sanctioned by the Principal in accordance with the leave rules. Medical Leave : Medical leave will be granted only by the Principal on the advice of the School Doctor or on the receipt of an application from the parents, duly endorsed by a competent medical authority. Visiting Days : Parents/Guardians may visit their wards only on the 2nd Saturday of the month. Tuck/cooked food is not to be brought into the hostel by boarders. No unscheduled leave will be granted to the boarders. Only parents are permitted to check-out their wards for overnight leave or home leave. If due to some unavoidable circumstances a child needs to travel alone an authority letter from the parents via e-mail must reach the Principal prior to the holiday. Mobile phones are strictly prohibited in the school campus. If caught strict disciplinary action will be taken against the child. Boarders are not allowed to carry cash in the school campus. Special Leave : In case of marriage of real brother/sister, leave may be granted for 4 days in case of far-off destinations and 2 days for close-by destinations. The Invitation Card should be attached along with the application to reach the school 15 days in advance.